Pinehurst Inn Bed & Breakfast of Bayfield, Wisconsin, provides a unique lodging experience that is calming and restful. Settle down in our gorgeous 8-room bed and breakfast to enjoy the comfort and tranquility it provides. Pinehurst Inn Bed & Breakfast is located a short distance from Lake Superior. We strive to be eco-friendly while providing a magnificent lodging experience. Our commitment to sustainability and to our environment can be seen throughout our inn, including the wonderful guest rooms. These efforts range from recycling to our choice of BeeKind bath amenities by Gilchrist & Soames where a portion of the proceeds from the products support honey bee and sustainable pollination research. Each guest room has either a queen or king bed as well as its own private bath. Air conditioning is available in each guest room for our guests’ comfort during the summer months. 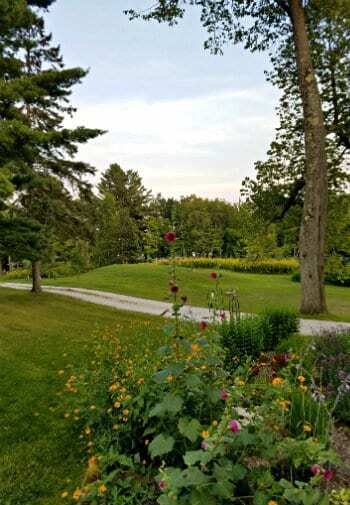 Take a stroll around the property and enjoy the beautiful gardens, wild flowers and the creek-side rock garden, or simply lounge on one of the charming porches and take in the magnificent surroundings. You’re bound to feel rejuvenated after basking in the tranquility and seclusion that the Pinehurst Inn Bed & Breakfast provides. BOOK YOUR ROOM AT PINEHURST INN BED & BREAKFAST! They have been married for 36 years and over those years, they have dedicated themselves to their careers, family, and community. Mike has a public service and business background. He served in the United States Marine Corps and later served as a police officer, volunteer firefighter, paramedic, commissioner of parks and recreation, president of a chamber of commerce, and finished as a public official serving as a trustee for a fire protection district. On the business side, he was a loss prevention manager for Sears and a pro sales manager and operations manager for the Home Depot in the Chicago market. He also was a real estate broker and owned an online retail sales business. Becky worked in her family’s dry cleaning business for many years before going to law school. For more than 25 years, she had a national practice concentrating in commercial litigation. She was a partner in a Chicago law firm, and over the years, she had been involved in law firm management, training, and mentoring. Becky also was involved with a local literacy foundation. In the early 2000s, Becky’s parents were diagnosed with Alzheimer’s. When her parents no longer could care for themselves and her brother with Down Syndrome, Becky and Mike opened their home to them and, with the assistance of a caregiver and other family members, cared for them for the remainder of their lives. After that, Mike and Becky started talking about the next phase of their lives and that they wanted a change. They concluded that operating a bed and breakfast would give them an opportunity to live in a great area and meet some wonderful people. Beginning in 2012, they started searching on and off for a bed and breakfast while still working full-time. Their quest took them to a number of states, including Vermont, Maine, New Hampshire, North Carolina, Tennessee, Kentucky, Georgia, and Wisconsin. They had first seen the Pinehurst Inn Bed & Breakfast in 2014 and felt an immediate connection. However, they were not sure that they wanted to stay in the Midwest with its harsh winters, so they continued their search, but without success and they found themselves talking about the Pinehurst Inn Bed & Breakfast. The inn had many of the things they were looking for and it just felt right. So in early 2016, they became the owners and innkeepers of Pinehurst Inn Bed & Breakfast. Mike and Becky are enjoying their roles as innkeepers and are pleased to be part of the Bayfield community. 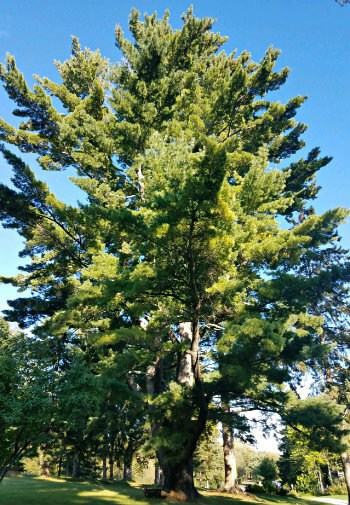 They are incorporating their own style of innkeeping with eco-friendly initiatives to provide their guests with an exceptional place to unwind and discover the beauty of the Bayfield, Wisconsin area. As a side note, Mike and Becky owned a condo in the French Quarter of New Orleans for a number of years, so you will see plenty of NOLA art throughout the inn. One thing you can be sure of is that they will do their best to see that your stay at the Pinehurst Inn Bed & Breakfast is enjoyable, and with their laidback Midwest Southern style, you will always get treated to some lagniappe (“a little something extra”). FIND A ROOM AT OUR INN! the highest level of green lodging hospitality and guest experience while preserving and promoting the unique historical and environmentally sensitive nature of our property and the area. Although the definition of sustainability has many variations, it is usually described as the balance between environmental health, economics, and social justice – a balance that will lead the way to a world where the human and other biological communities can thrive together indefinitely. At Pinehurst Inn Bed & Breakfast, we have attempted to use this philosophy in our analysis of the many long and short term decisions we make regarding the way we do business. 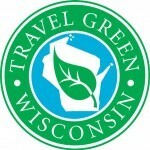 Our goal is to minimize our use of natural resources while still providing a magnificent green lodging guest experience. Use of solar panels to heat domestic hot water in our new Garden House. Use of energy-efficient materials wherever appropriate when refurbishing existing structures or building new. Use of non-toxic cleaning products and recycling materials wherever appropriate. Use of eco-friendly linens, towels & robes for guest rooms. Energy-efficient appliances (Energy Star), lighting and other technology. Landscaping incorporating both historic and native plants. Recycling plan including providing recycling containers in guest rooms and providing guests with reusable stainless steel water bottles. Explore the rooms of our eco-friendly Bayfield Bed and Breakfast!